Running Hot and Cold Water around the clock. Accommodation plays a very important role in the well being of the student. We help to choose the accommodation nearby to the location of the university and in accordance with the facilities required.Our staff provides all the information about accommodation both on the campus and off the campus. The Super Deluxe Room at City Premier Hotel offers a host of varied facilities and services in Gurgaon. This air-conditioned room is adorned with a double bed, an LCD TV, a minibar, wardrobe and 24-hour room and laundry service. Complimentary Wi-Fi and breakfast are also offered to the guests. We offer room service from a centralized kitchen operated by full time cook experienced in several cuisines including Indian, Chinese and Continental. The facility features a spacious dining hall, a conference room and an open terrace to host events. 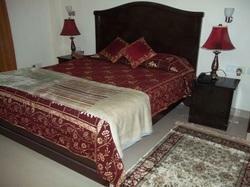 Rs 1990 per Night. Taxes extra as applicable.As per guidelines, it is mandatory to produce either Driving License/ Passport/ Voter I-card/ Aadhar card at the time of hotel check-in. Meeting & Events facilities at Best Western Skycity Gurgaon for upto 350 delegates. We pride ourselves in creating unique services by leveraging our business partnership, guaranteeing exceptional service in all facets. Image and brand are our outmost importance and CBFS understands the need to create a point of difference for our clients. Designed with a separate elegant living area and a private terrace to give you additional space to unwind, work or meet and make your work schedule more ingenious and stress free. Hotel HBL International, Gurgaon, offers free Wi-Fi facility and complimentary breakfast for all guests! Limited Period Offer. Book your rooms immediately and enjoy a rejuvenating stay at the hotel! MTS is a dynamic company, committed to provinding excellent services, products and knowledge. Our service assure that you achive the maximum benefit form your furniture investment. As a customer- focused company, we constantly assess the needs and interests of our clients. We adapt ourselves, our products and our services to facilitate the goals of our customer. JPS Residency is having an enormous accommodation which is excellent for tranquilizing after a compressed working schedule, sightseeing or browsing. Our Deluxe rooms offer a glimpse over the hotel courtyard, lawns and gardens. Project - JAIVEER'S HOUSEType - Architecture & InteriorsThe design of the house is rooted in the traditional concept of planning living spaces while casing these in a contemporary model.The architecture essence of the house is under-stated: Simply functional contemporary & smart using locally available material.